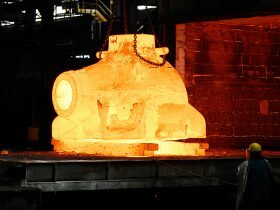 The Lucchini RS foundry is the biggest in Italy and among the foremost in Europe in terms of weight, size, technical complexity and quality of the steel castings it manufactures. 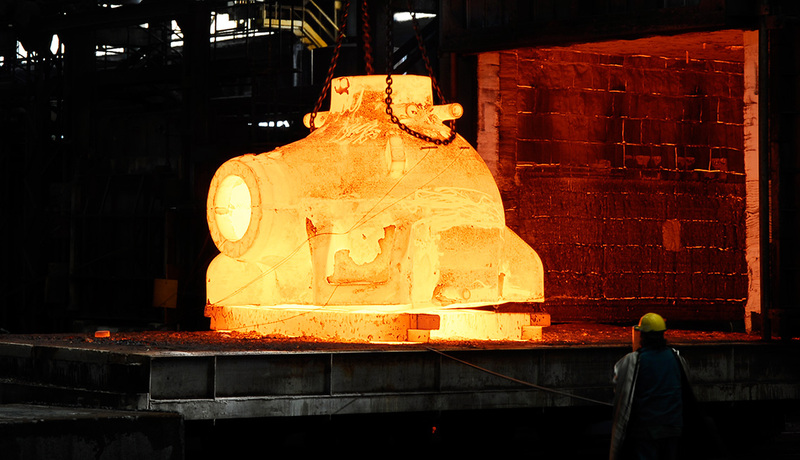 A total molten steel capacity of 300 tonnes, a handling system sized to the pieces to carry, and large moulding pits make possible the production of castings up to 150 tonnes in weight. 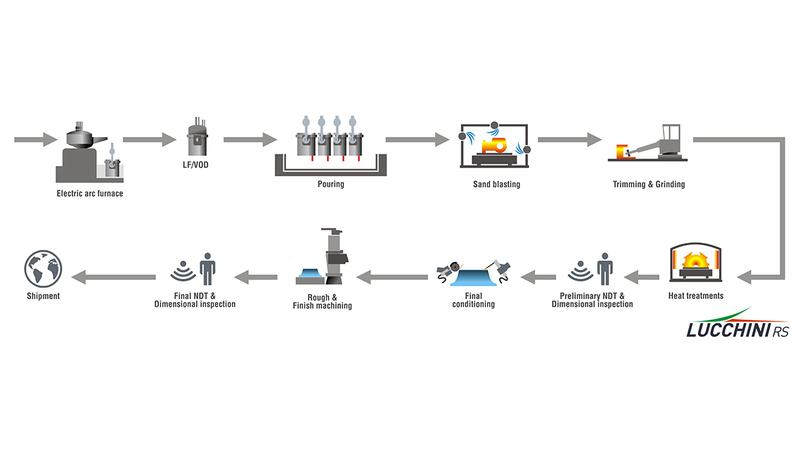 Lucchini RS uses advanced software for planning the melting, casting and cooling processes. 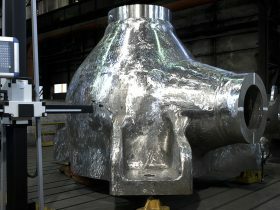 Robotized cold trimming equipment, shot and sand blasting machines are available to give each casting the required surface condition. 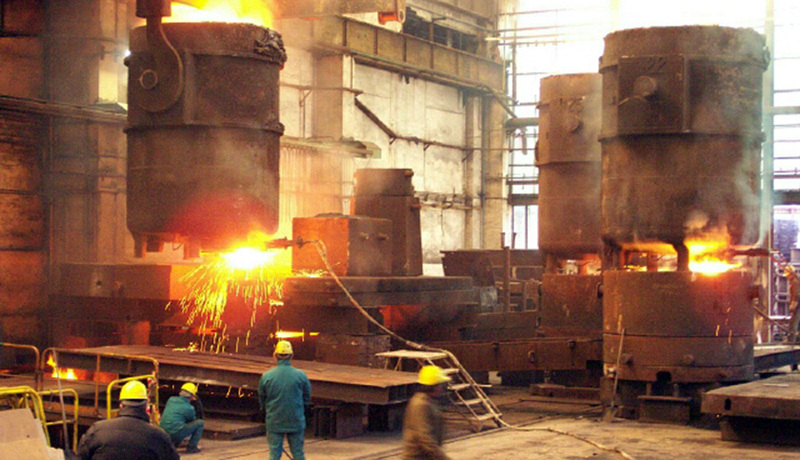 The heat treatment furnaces are equipped with automatic temperature programming, control and recording systems. 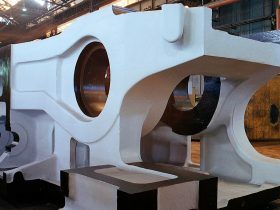 Machining set-up includes large vertical lathes, mobile-upright milling-boring machines, horizontal lathes and special lathes for deep boring, all with numerical control to guarantee the utmost precision. 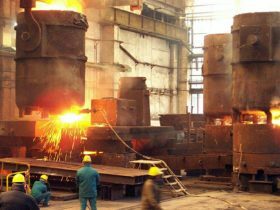 carbon steels, alloyed steels and stainless steels in accordance with the main international standards and customer’s specifications. 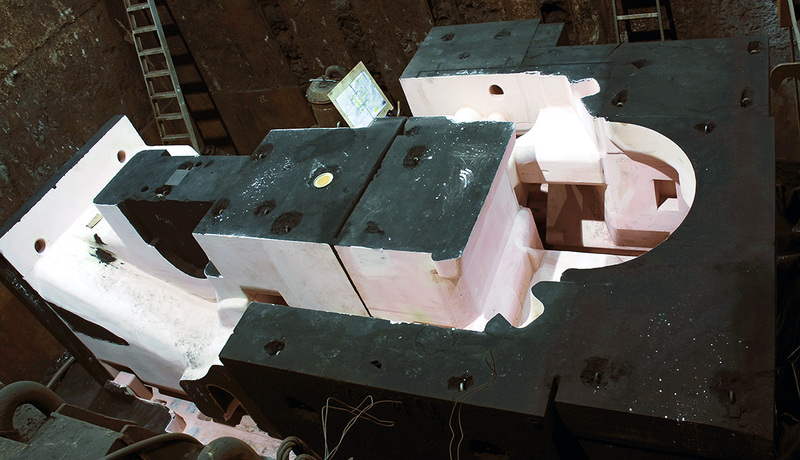 as cast, rough machined, finished machined, assembled as a casting/forging subassembly. Lucchini RS has a metallurgy laboratory, a chemistry laboratory, a technological laboratory and a high-tech laboratory. 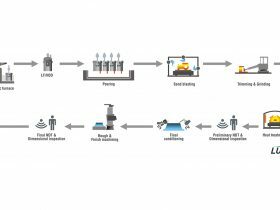 They perform a range of tests, including mechanical property tests, chemical and environmental analyses, metallographic, macrographic and micrographic tests using optical and electronic microscopes. The superior quality of the service offered by Lucchini RS laboratories is recognised and guaranteed by ACCREDIA, which certifies conformance with the requirements of UNI CEI EN ISO/IEC 17025. 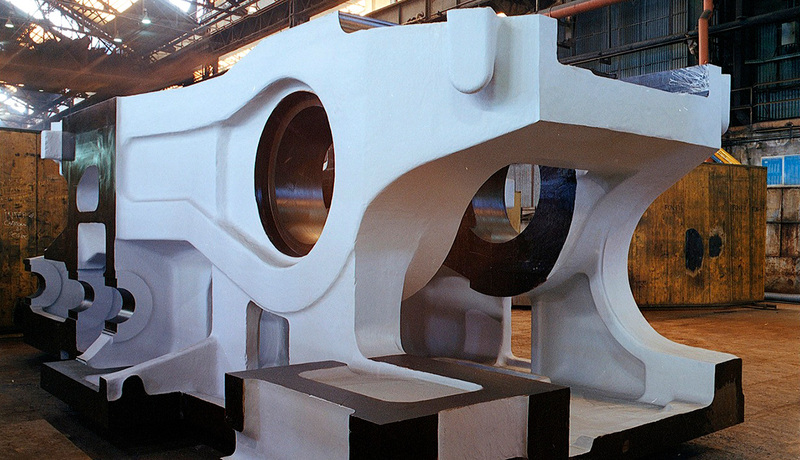 Moreover, all materials are tested and certified in accordance with international standards and customer’s specifications, using any combination of the following methods: UT-RT-HT-PT-MT-VT-DT. Turbine casings, valve casings, Kaplan hubs, Francis runners, pump rotors, pump bodies, distributors, rotary bodies, conveyors and others. 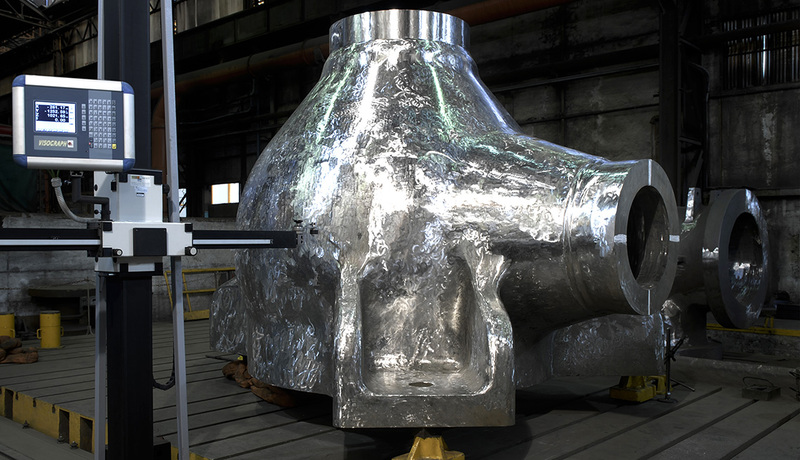 ball valve bodies, gate valve bodies, expanding gate valve bodies, shutters, covers, lifting hook assemblies, offshore assemblies, pile driver hammers and others. 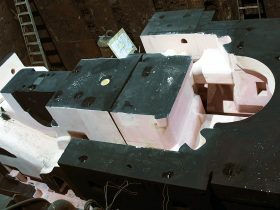 Rudder supports, stern posts, propeller arms, pintle conical couplings and others. Press plate, chocks, press reaction plate, frame for die forging machine, mill housing, mill heads, kiln tyre, rollers and Others.